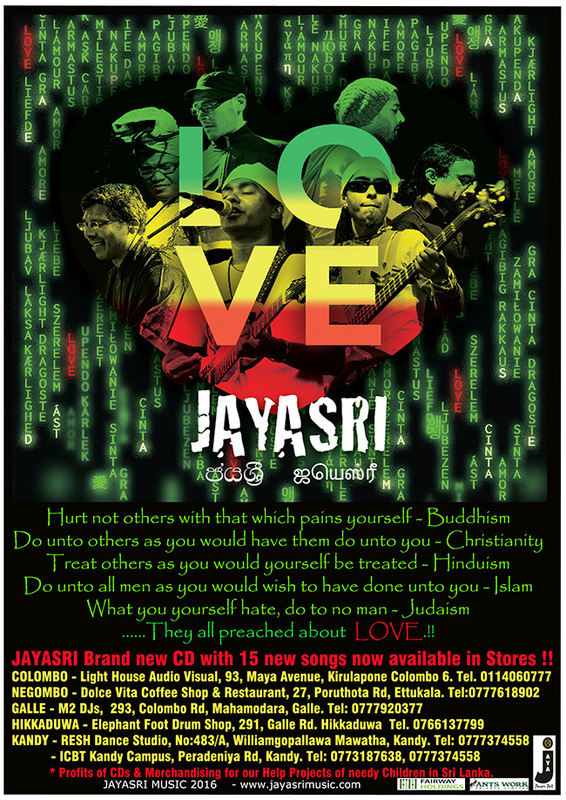 JAYASRI`s brand new album with 15 new songs, “LOVE” is available in selected stores near you…!! In Sri Lanka for a very special affordable price..!! * Profits of CDs & Merchandising for our Help Projects of needy Children in Sri Lanka. – Light House Audio Visual, 93, Maya Avenue, Wellawatta Colombo 6.